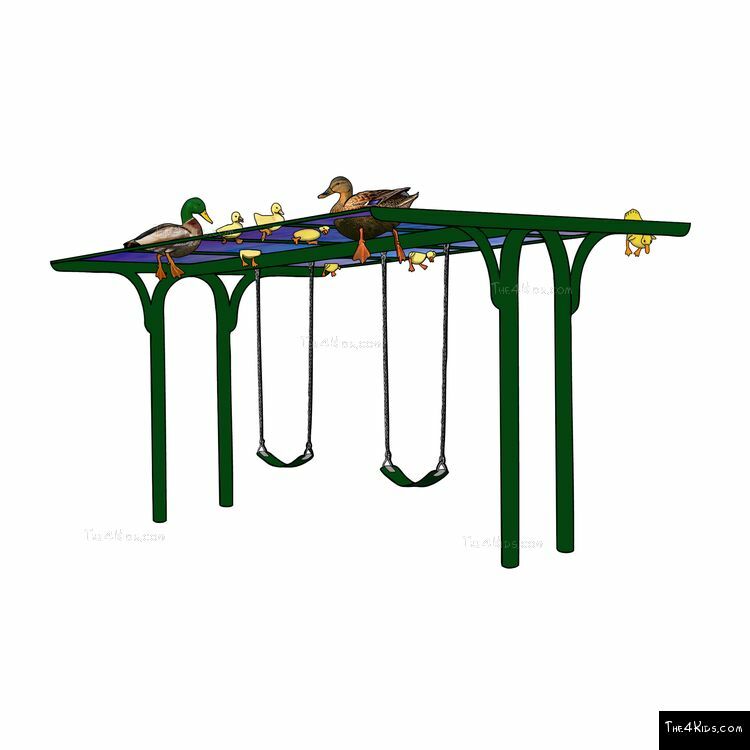 Imagine how much fun a kid can have playing in a duck pond. 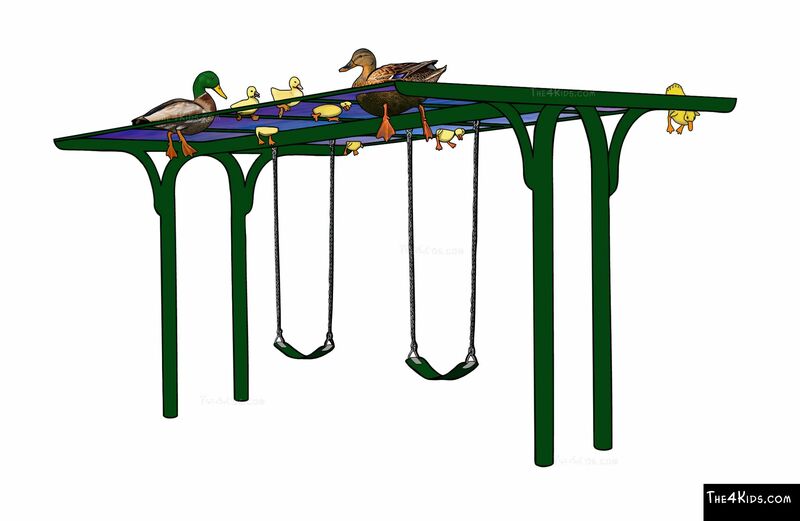 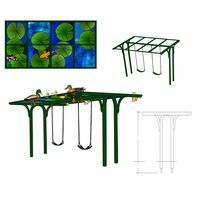 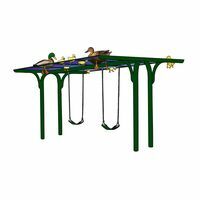 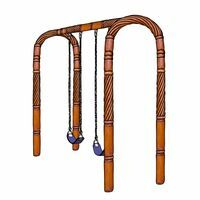 With The 4 Kids Duck Swing, children of all ages can swing on a favorite work of playground art while creating a world of make believe beneath the shimmering surface of a magical duck pond. 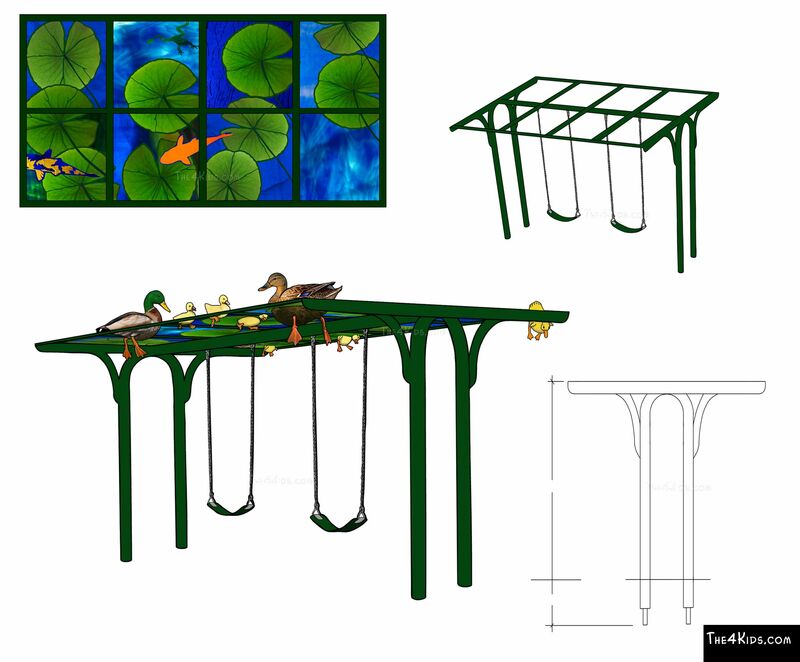 Above the swing set, The 4 Kids artists have crafted a canopy of high quality, polymer stained glass in beautiful shades to catch and reflect the rays of the sun to the play area below, while perfect replicas of duck families swim atop, creating a visually mesmerizing virtual pond. 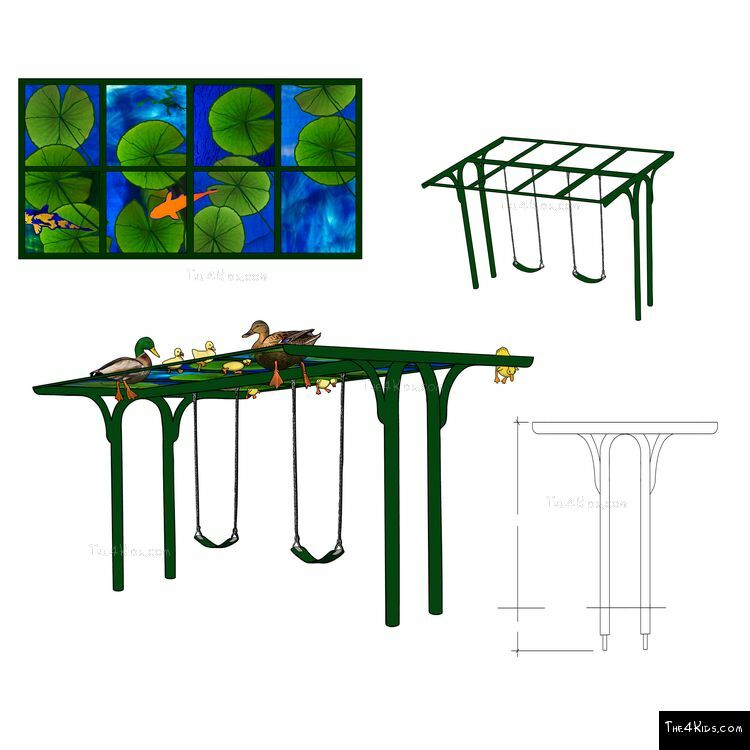 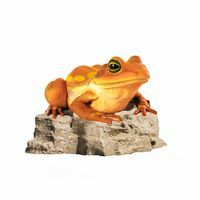 Besides protecting little ones from heat and the elements, the polymer stained glass canopy adds a new level of appeal at theme parks, indoor or outdoor playgrounds, children’s museums and fun centers, even state recreation areas. Using the most stringent safety standards, the expert team of playground designers at The 4 Kids ensures a resilient, glass fiber reinforced polymer surface that resists damage in all weather with virtually no maintenance. 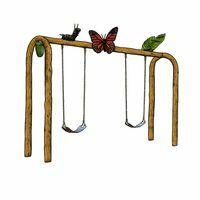 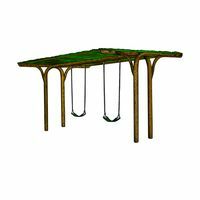 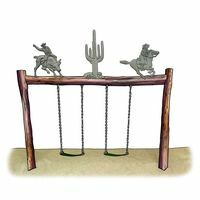 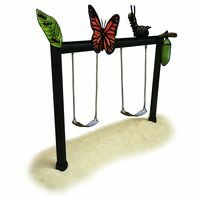 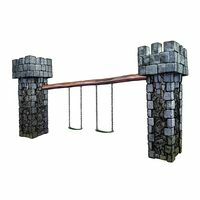 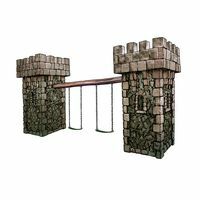 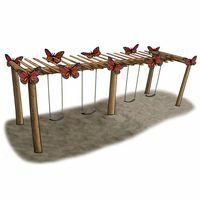 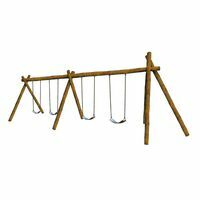 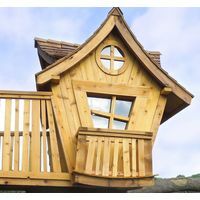 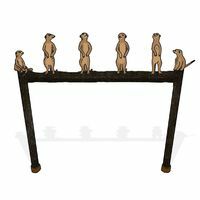 Over 17 feet long and nearly 7 feet high, the swing set can be customized to meet every client’s specific needs.